Nowadays, people’s lifestyle is becoming more and more hectic. Stress becomes a familiar term for everyone. It is used to imply the body’s response which is non-specific toward changes of life demands. Changes in life demands happen due to “traffic jam”. It means everything in your life now is moving fast, under a lot of pressure and burdened with many responsibilities. Few people can ride on top of the stressful tides; however, majority of people are drown under the stress. Being under stress for a long time can affect severely to both of your physical and mental strength. Such problems as high level of blood pressure which can lead to other heart disease, depression and anxiety which can lead to obesity can occur to you as well as you will gradually feel less and less joyful with your daily life. In fact, when under stress, many people tend to go for unhealthy relieving methods such as cigarettes or alcohols. However, those methods usually back-fires the users with even more severe consequences then before using. Causes of stress normally come from any of your daily concerns such as work stuff, relationship problems or the most common one which is money or finance. Occasionally, if you encounter an extreme event which gives you severe trauma, it can bring you stress later on in life whenever you face something which is resemblance of that event. These symptoms often associate with your behavior and mood. Feel anxiety as well as restless. Occasionally bring out unnecessary anger. Your mood is taken over by depression and sadness. Gradually withdraw from social activities. Stress is inevitable at the moment and you need to be able to cope with that trend. Positive view, healthy lifestyle and diet can help you go through that happily. Practice deep and slow breathing can bring you calmness for your body and mind. With just about 20 minutes breathing, you can have your mind cleared and stress-relieved. When under stress, find some place comfortable and quiet to lie down or sit. Breathe in for 5 counts with your eyes closed. Hold for 5 counts and then breathe out also for 5 counts. Perform 5 to 6 times or until feeling relaxed and calm. When under stress, the level of magnesium can be low while adrenaline is increasing. Due to be rich in magnesium, Epsom salt can promote serotonin which will help you have brighter mood. Epsom salt is effective at controlling anxiety and stresses which will significant reduce the chance of having insomnia, abnormal heart rate or irritability while encouraging relaxation. Put 1 cup of Epsom salt together with some essential oil into a warm bath. Make sure the salt is dissolved completely and bath for at least 20 minutes. Perform 2 to 3 times per week. 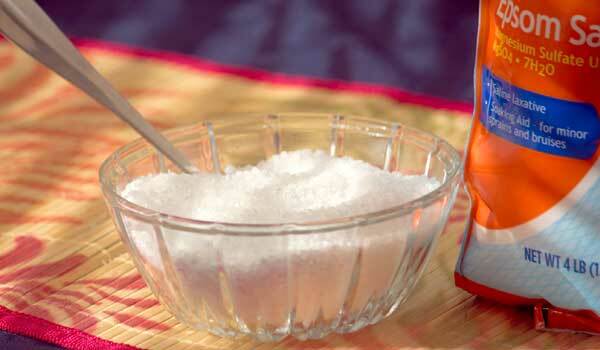 Epsom salt is an effective home remedy which is used to treat many other problems. You can find out more at: Home Remedies for Lupus and Dehydration. It can sedate the nervous system with its soothing and calm properties. 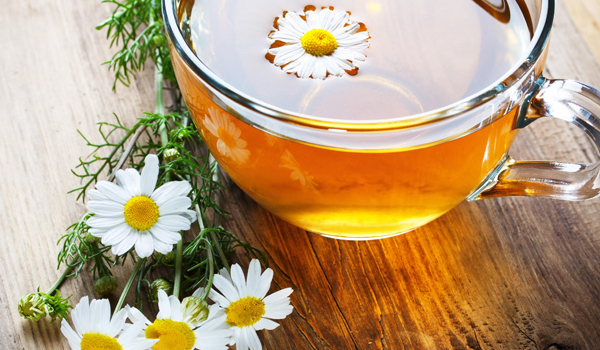 Use chamomile tea can make your muscles relax, prevent anxiety as well as promote quality sleep. Take 2 teaspoon of dried flowers into 1 glass of hot water. After 10 minutes, have it strained and put in some honey depended on your preference. Consume maximum of 4 cups per day. Put some fresh flowers together with some essential oil into a warm bath. Take chamomile supplementary pills after consulting the doctor. Chamomile tea is a very popular home stuff which any household can have at home. Also it can treat a lot of common problems in your daily life as well. You can find out more at: Home Remedies for Stomach Ache and Colic. 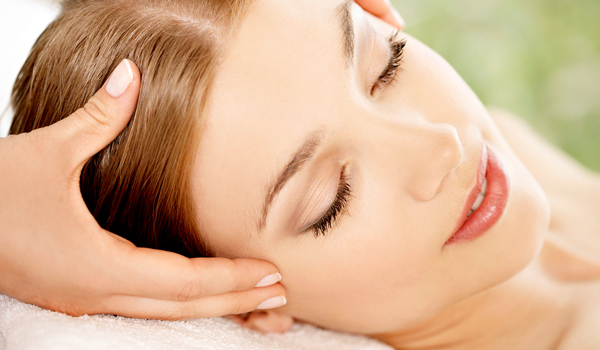 Massage using warm oil can effectively ease your muscles, promote circulation of blood as well as prevent anxiety. Heat up the oil you choose. Massage from your head to the neck, then the shoulders to the back and down to your feet. Finish with a warm bath. Perform daily in order to prevent stress. For more information about the problems which can be cured with massage, please read: Home Remedies for Sprained Ankle and Muscle Pain. Often known as Indian ginseng, it can effectively decrease the level of a hormone called cortisol which induces stress. By using this remedy, you can be able to prevent stress through strengthening your nervous system, produce energy, control fatigue in order to have quality sleep. Take 1 to 2 grams of either dried or fresh root into 1 cup of boiling water or milk. Consume 3 times per day. Take Indian ginseng supplementary pills after consulting the doctor. Note: Avoid using for young children as well as women in pregnancy. By controlling changes in chronic restraint which is the cause for stress, basil can equip the body with strength to response to any stress, being either emotional or physical. 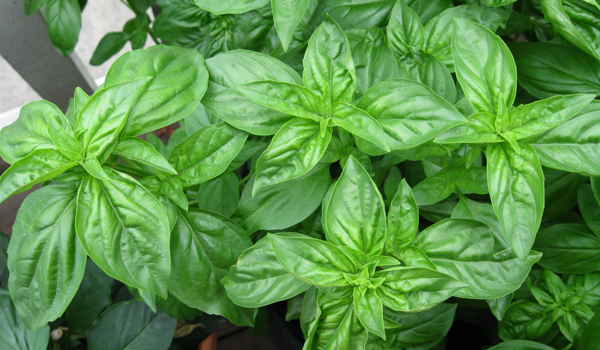 Consume fresh about 12 fresh leaves of basil twice per day. Take 1 tablespoon of fresh leaves into 1 glass of hot boiling water. After 5 minutes, have it strained and add in some honey. Consume it slowly. By containing L-Theanine which are in charge of encourage alpha waves production of brain, green tea can effectively control stress, bring in relaxed feeling which support mental alertness as well as focus. Take 2 teaspoon of tea leaves into 1 glass of hot water. After 5 minutes, have it strained and add in either lemon juice or honey depended on your preference. Consume 2 to 3 times per day for fighting stress. With the function of increasing the level of gamma-aminobutyric acid in your brain, passionflower can significantly control stress as well as anxiety and even prevent panic attack. Take 1 tablespoon of dried flower into 1 glass of hot water. After about 10 minutes, have it strained and consume warmly. Liquid extract or tablets can be taken as supplement after consulting with the doctor. Note: Avoid using for young kids or women in pregnancy or nursing stage. 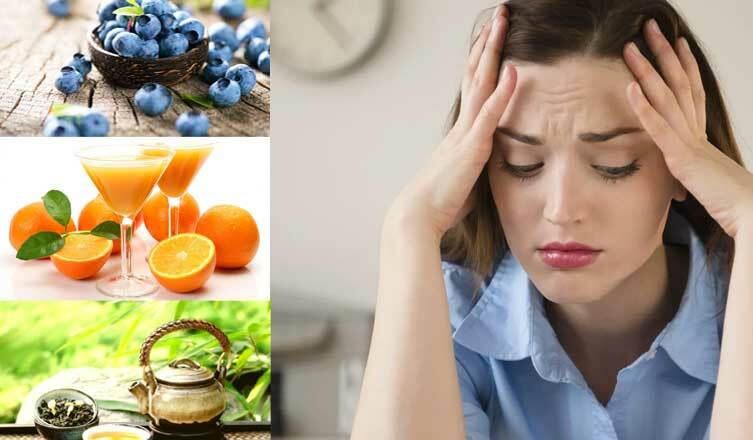 With antioxidant property together with vitamin such as A and C as well as other essential minerals like manganese and magnesium, blueberries can help fight depression with mood disorders and even insomnia which can lead to stress. Consume as snack or together with cottage cheese or salad. Another option is using cranberries. Rich in vitamin A, B and C and minerals as well as possess antioxidant property, oranges can help control radicals which is increased during stress period. Consume as desert or in baking products. Another option is drinking juice from oranges or other citrus fruits. Contain vitamins such as A and D together with protein and calcium as well as antioxidant property, milk can definitely calm you down while control radicals produced from stress. Perfect method would be skim milk with whole-grain cereal in the morning or consume 1 warm glass of milk before bed. In case you don’t prefer milk, there are other options such as yogurt or cottage cheese. Vitamins such as E and B as well as minerals such as zinc, magnesium or selenium are presented abundantly in various types of nut like almonds. The crunchy texture is also a great method for stress-relieving. Consume as snack in either roasted or raw. 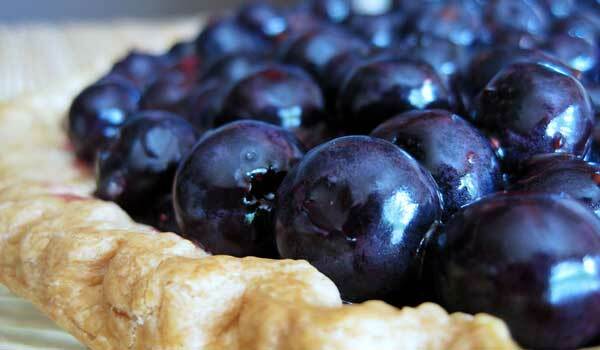 You can also include them in baking products or deserts. Other types of nut like pistachios or walnuts are very effective at control the hormone-induced stress, lower pressure level of blood and improve your energy. 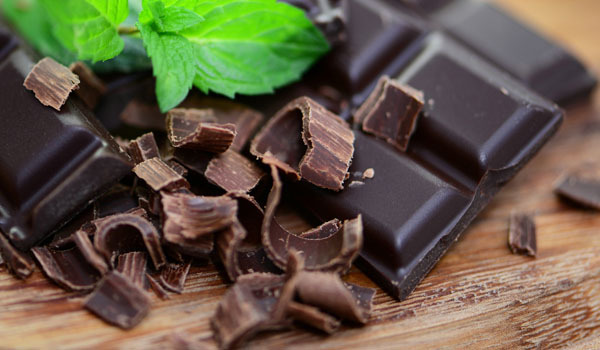 Magnesium in dark chocolate is efficient in controlling stress and depression, fighting fatigue and irritability. Consume 1 ½ ounces of dark chocolate every day is excellent for decreasing the stress-induced hormone and improving your mood. Another option is a glass of warm chocolate milk or deserts that contain dark chocolate compounds. Rich in vitamin B, brown rice is excellent in supporting the functions of organs, tissues and cells. Furthermore, it can help stabilize your mood as well as promote biochemical reactions which will enhance brain functions, increase immunity and healthy cells and encourage cardiac functions. Therefore, consume brown rice will help you control stress and other mood disorder problems. Whether they are aerobics or high-intensity will be good for your body because this method can significantly suppress the production of stress-induced hormones. Thus it can boost up your positive mood. When being under stress, it is necessary to exercise some sports such as swimming or jogging or even dancing. Another popular option is yoga or meditation, which will practice for your body and mind to be calm in every situation. Have your stuff organized can help you maintain a control sense and a peaceful mind. Instead of wasting too much time on internet and social networks, you can spend more time with families and friends. Get enough quality sleep and rest. Do walking exercise for at least 30 minutes from 4 to 5 days per week. Reduce usage on sugary products as well as caffeine and alcohol. Consume more healthy foods such as whole grains in order to fight off stress. Quit smoking in case you are doing it at the moment.